The Netgear Nighthawk AC1900 and the Linksys WRT1900ACS are both dual band routers that will enhance your internet connection in your home. Both routers are a similar price and have similar features, so how do you know which one is better? We have made a list of the main features of both the Netgear Nighthawk AC1900 and the Linksys WRT1900ACS to see which router is the best. 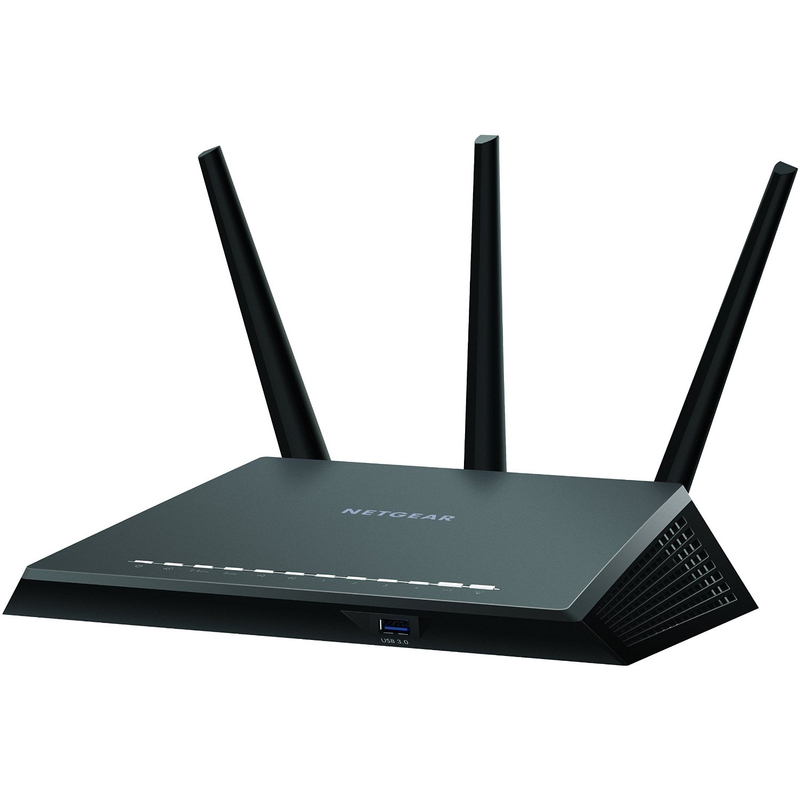 The Netgear Nighthawk AC1900 is a dual band router that uses a 1 GHz processor and can give you speeds of up to 600 Mbps at 2.4 GHz and up to 1,300 Mbps at 5 GHz. The Linksys WRT1900ACS is a dual band router that operates on a 1.6 GHz processor and can also give you speeds of up to 600 Mbps at 2.4 GHz and up to 1,300 Mbps at 5 GHz. With the faster processor the Linksys WRT1900ACS will be able to transfer files and data at a more rapid rate than with the Netgear Nighthawk AC1900. 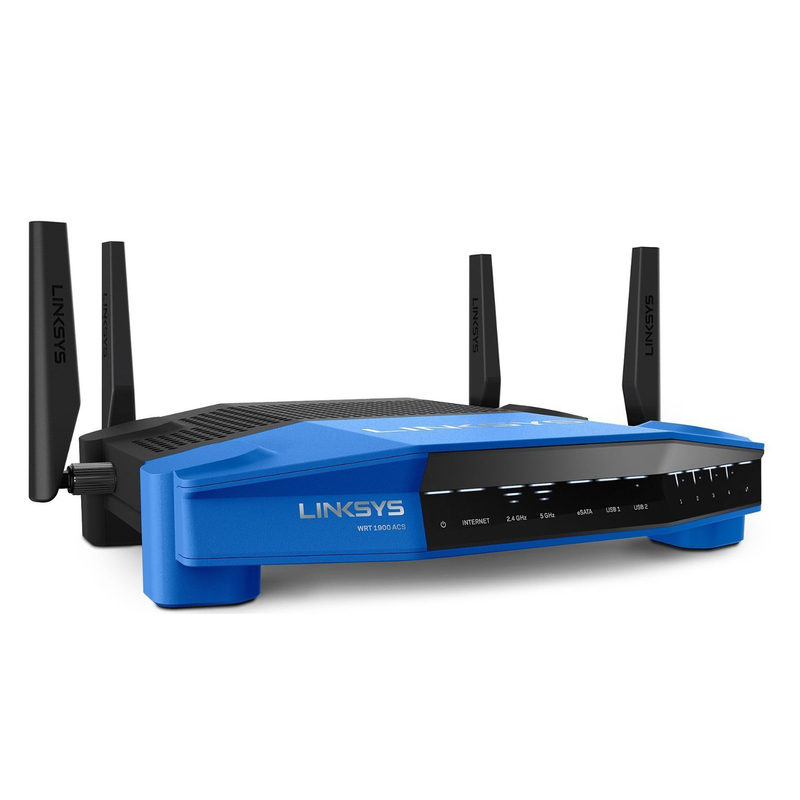 The Linksys WRT1900ACS benefits from having an app where you can manage your network and all the devices that are connected to it and allowing you to prioritize a particular device. The Netgear Nighthawk AC1900 has QoS technology that will automatically deliver the strongest and fastest connection to a particular device or activity, such as gaming. Both routers have Beamforming which helps to direct the WiFi connection to your device, giving you a stronger signal and expanding the range. The Netgear Nighthawk AC1900 benefits from having VPN capabilities, meaning you’re able to remotely access your network. With the Linksys WRT1900ACS you’re able to set up parental controls via the corresponding app, allowing you to restrict access to various content to keep your family safe. The Netgear Nighthawk AC1900 has a Genie app where you can manage your online security settings for your network and set up parental controls to limit access for users. With both routers you’re able to set up separate accounts for each user in your household, letting you tailor the security settings for each user. The Netgear Nighthawk AC1900 features 4 gigabit ethernet LAN ports as well as a 2 gigabit WAN port compared to the Linksys WRT1900ACS, which has 4 gigabit ethernet LAN ports. The Linksys WRT1900ACS benefits from having 4 external antennas that will help to boost the signal and extend the range of the WiFi signal. 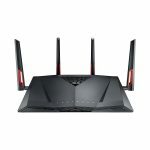 The Netgear Nighthawk AC1900 has 3 external antennas, meaning the range and strength of the signal may not be as powerful as with the Linksys WRT1900ACS. The two routers come with both 2.0 and 3.0 USB ports. We have analyzed the features of both the Netgear Nighthawk AC1900 and the Linksys WRT1900ACS and we think the better router is the Netgear Nighthawk AC1900. It has added features that make it better value, such as the VPN capabilities and the fast WAN ethernet port. The Netgear Nighthawk AC1900 also benefits from having the QoS technology that will benefit anyone who is streaming HD content or online gaming.